We all know I love Lush and from October I get especially excited as the Christmas stock makes its way into stores. This year it's nice to see some of my old Christmas favourites make a return, but also loads of new festive goodies. Golden Wonder (£4.50), this is a bath bomb that looks like a well wrapped present and if you shake it you'll hear the hidden contents jingle inside. 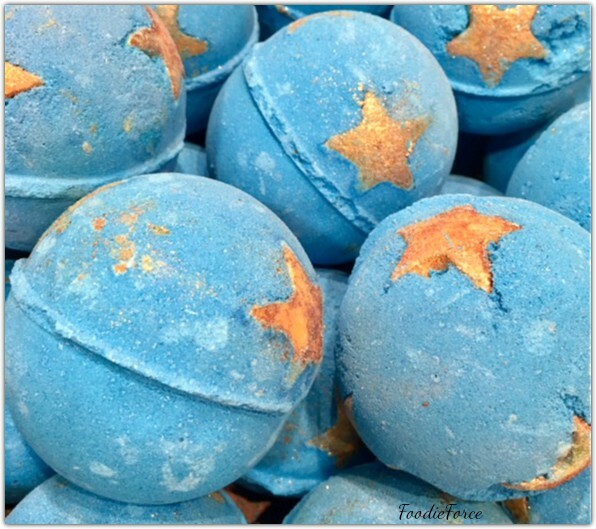 This bath bomb whizzes around the bath in a wonderful blue hue and best of all it smells delightful with my favourite scents of sweet orange and lime. If you have a bath bomb fan in your family, the Giant Golden Wonder (£12.95) has to be on your list. But be warned it is gigantic and takes a good ten minutes to fizz away. Everyone is obsessed with Snow Fairy; that's everyone except me. It is far too sweet. 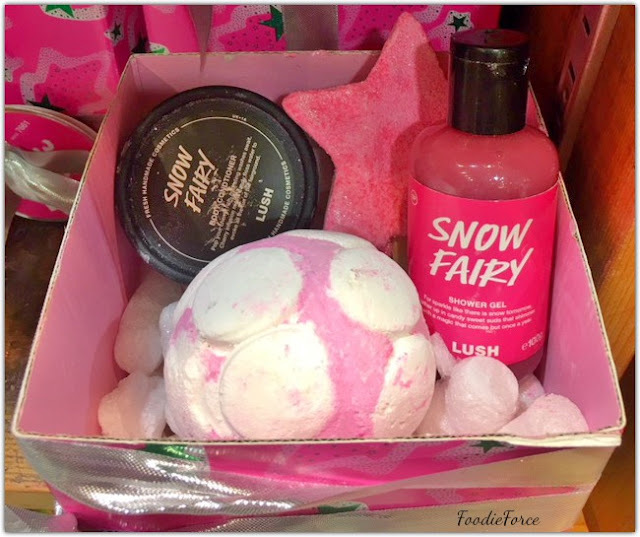 But if you are a fan the good news is that Lush have massively widened the Snow Fairy range with: Magic Wand, Naked Shower Gel, Snow Fairy Fun, Body Conditioner, Cold Pressed Soap, Sparkle Jar and Naked Body Conditioner. The Snow Fairy gift set (£24.95) offers a little bit of everything. They also have a Snow Fairy Jelly Bomb (£4.95). Be warned this is so sweet with a mix of Candyfloss and bubblegum, it does however make fluffy bubbles like marshmallow. At nearly five pound a bath these are just too expensive for what they are. 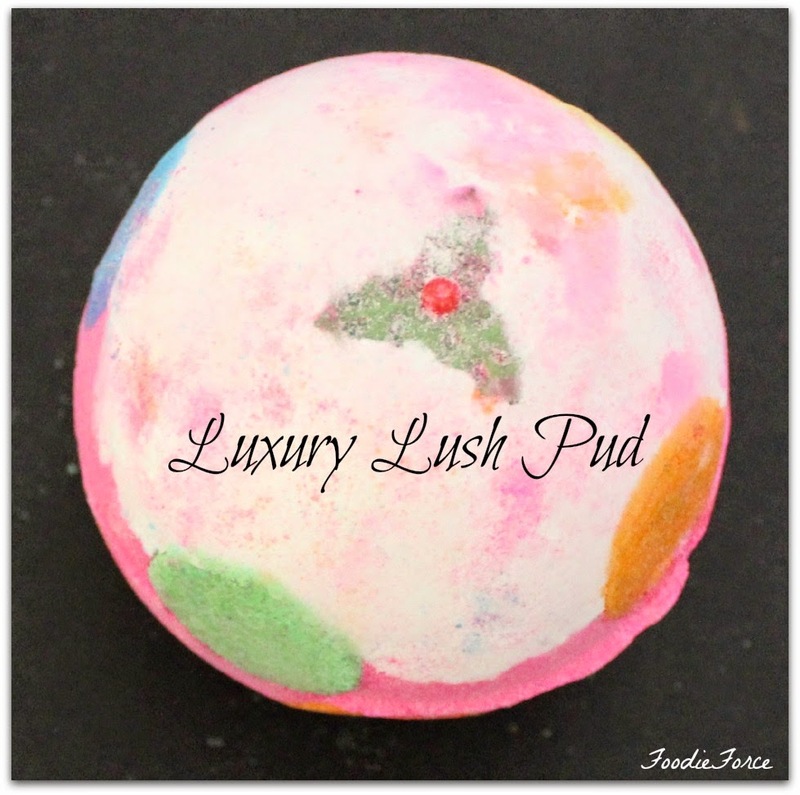 Luxury Lush Pud (£4.50), a work of art as it swirls around the bath creating a beautiful pastel masterpiece. Twilight is my absolute favourite bath bomb and this has to be its colourful and vibrant cousin. The lavender is perfect for getting ready for bed. 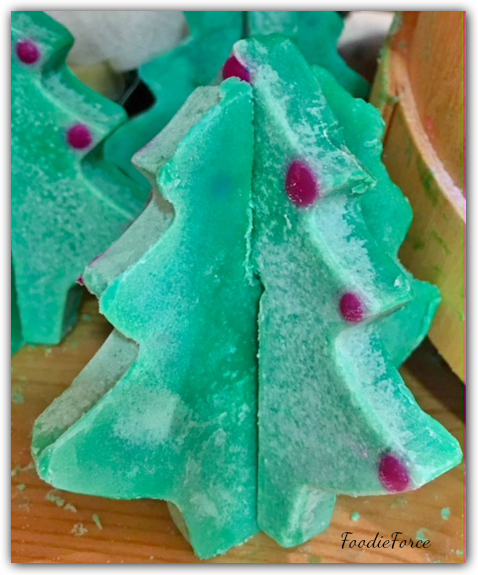 The Magic of Christmas (£5.95) is supposedly a reusable bubble bar, but it's not a personal favourite as it has often broken apart well before you have got a second bath out of it. 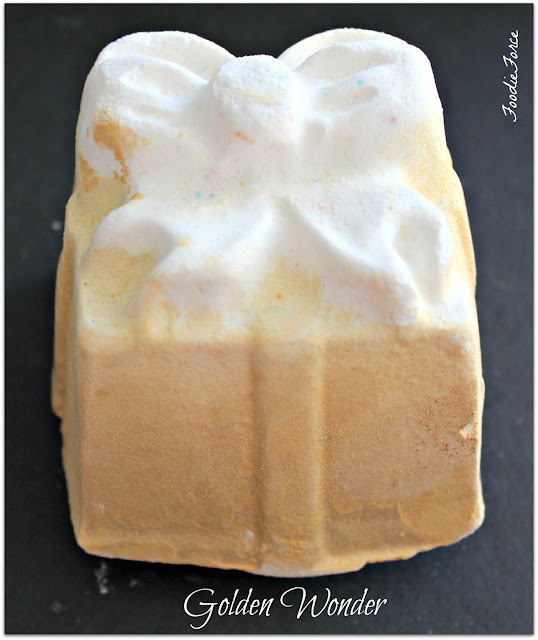 The only way to describe it is Christmas in a bath, with warming cinnamon and clove it creates a spicy festive bath. Snow Angel - Bath Melt (£4.50) the snow Angel leaves gold glitter everywhere, but melting away in the bath it is absolutely beautiful as the glitter slowly seeps outwards creating a glittering halo. Containing cocoa butter, this leaves my skin lovely and moisturised. Melt away the Christmas shopping stresses with Tree-D (£4.50), a bath oil beauty. A festive tree has never looked so pretty. The first thing to say about this beauty is it smells divine as you sit back and relax; its smells of tangerine and grapefruit waft gently around the bathroom. The almond oil and cocoa butter do wonders to soften the skin. One thing to say about this product is that it looks awesome, but sadly doesn't travel well, so keep this in mind. On the plus side you can halve it and have two Christmas baths. 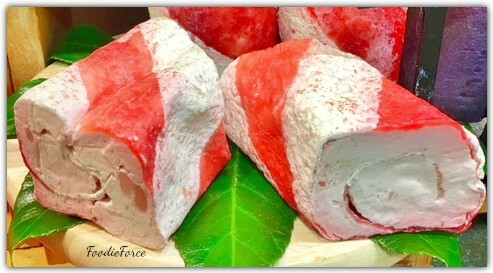 Candy Cane Roulade (£6.95), Christmas wouldn't be Christmas without an adornment of candy canes. Whilst this doesn't give off a strong smell of mint, it does recreate the smell of an Alpine ski resort with the wonderful smells of Cedarwood Oil and Cypress Oil. Be warned though it is a little hard to use, as it becomes slippery in the shower. Marmalade Jelly Bomb (£4.95), this smells strongly of orange and grapefruit. A firm favourite of mine. There is only one complaint with the new jelly bombs; they do not completely dissolve, so you are left with large chunks of orange and jelly at the end of a bath to fish out. 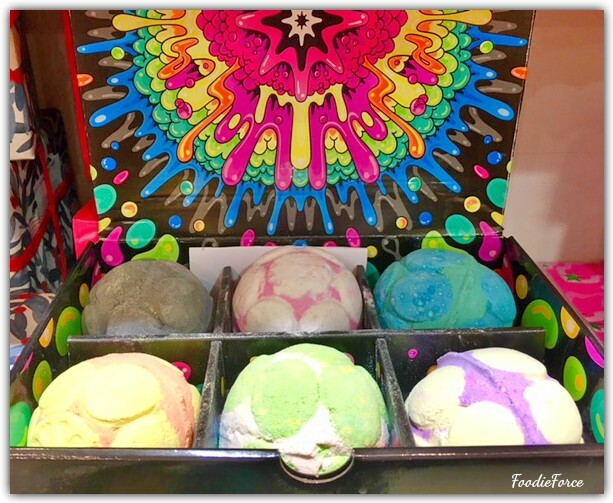 If you fancy trying out or giving the new jelly bombs Lush have the perfect gift set. Ready, Jelly, Go (£34.95) offers six jelly bombs. The Snowman (£4.25); Noah loves this little man, but he's not so keen when I tear Olaf apart and start running him under the tap...let it go, let it go! Not only is this guy supper cute but he smells of Sicilian Lemon. No Christmas gathering would be complete without the honorary Christmas Sweater (£4.50). This bath bomb is a slower fizzer and lasts absolutely ages. It is perfect for winter with Ginger, Coriander seed and clove, to help ease aching muscles or clear a stuffy nose. It really is Christmas in a bath bomb. There hasn't been any bath bombs for me that have even come close to the success of Twilight. But then Lush made Shoot for the Stars (£4.50). This beauty is not only a work of art, that turns the entire bath water turquoise with sparkly stars in the form of bath melts, but it smells like a honey heaven. The best part for me was on leaving the bath my skin felt wonderfully moisturised and the lovely scent of bergamot and orange lasted most of the day. This is definitely a new found favourite and I'm busy squirrelling them away as we speak, just in case they don't make another appearance. 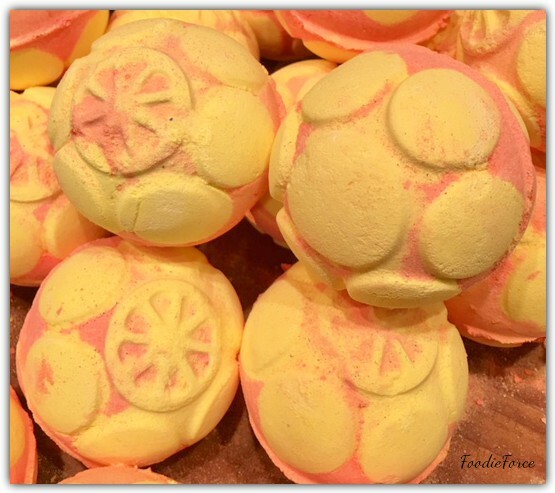 What's your favourite Lush product? Since having our little boy, outings to restaurants have certainly decreased. So when the opportunity to go for a meal presents itself, it’s something to savour and really enjoy. It does however add to the pressure of finding somewhere really nice to eat. Italian cuisine is a definite favourite of mine (Parma Ham, Olives, Gnocchi, Arancini, Rissoto, Spaghetti Bolognese,Tiramisu to name a few) so if I have the choice this will always be top of the restaurant list. When family get together we inevitably end up having a good meal, or maybe that's just us. During a recent trip to Worthing we found Giuseppe's a Southern Italian Restaurant hidden down a little side street. Entering through a sliding conservatory door the restaurant has quite the unassuming entrance. But as I've come to find with restaurants looks can be very deceiving and as we soon understand, this is true of Giuseppes which is a hive of activity even on a Saturday lunch time in Worthing. Now anyone who has ever had dinner with a little person will know it’s a bit like Russian roulette, you never know what your going to get. You can have the most promising start to a meal only for it to turn to total chaos or vise versa. On the day of our visit Noah was being a boisterous and demanding little guest, so apologies in advance for a couple of the photos as they were taken whilst I was in a wrestling match with the little man. On the plus side all the starters on the menu looked wonderful. I opt for Carpaccio di Manzo (£7.50): thinly sliced fillet of beef marinated in lemon dressing served on a bed of rocket salad and topped with Parmesan. 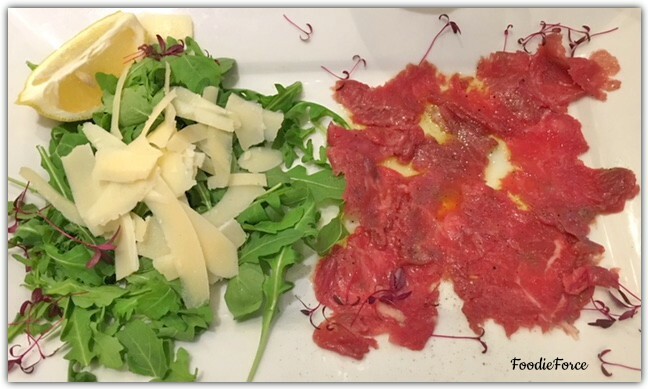 The Carpaccio which was sliced a little thick was however delicious, with the perfect peppery taste from the rocket and beef in lemon juice. 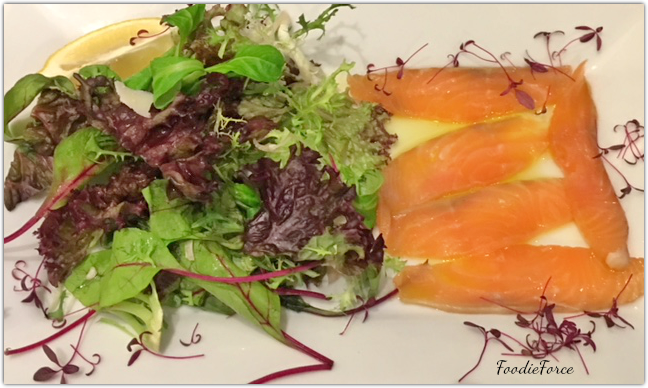 Other guests around the table choose the Salmone Marinato: (£7.45) Thinly sliced fillets of salmon in a balsamic glaze and dill, marinated in citrus dressing. I'm reliably informed that the balsamic glaze and dill on the salmon was really refreshing; but a little less glaze would have been appreciated. 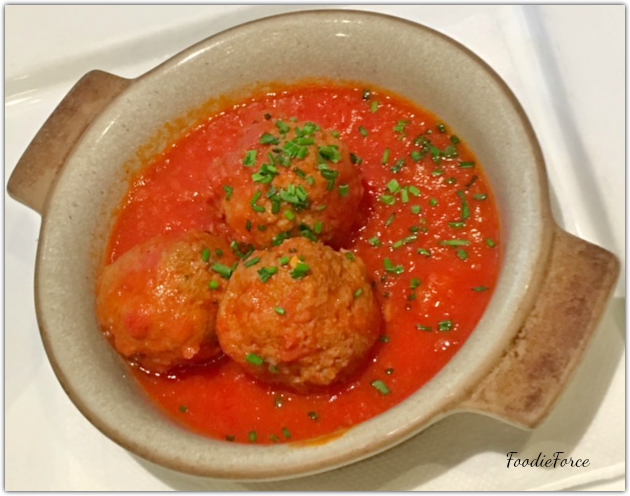 Meatballs is always a favourite of mine so I was pleased that a member of the table chose this, Polpette Catanesi (£6.95) Traditional meatballs served in tomato sauce. For a starter three meatballs is a great size, not too big or small. 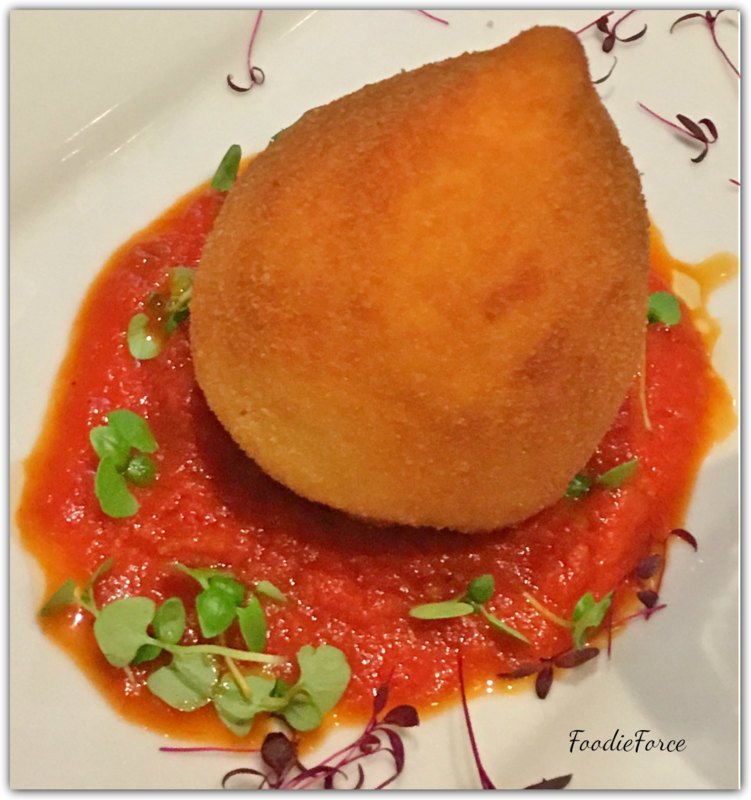 Sicilian rice ball (£7.25) filled with mozzarella, peas and Bolognese sauce. The breadcrumb coating was perfectly crisp, whilst the rice, mozzarella and Bolognese was wonderfully flavoursome and moist. This might sound easy but as a foodie I have had many that have been overcooked and incredibly dry. The menu for mains is extensive and I was feeling incredibly indecisive so went for the safe option of Maiale agli Asparagi (£16.95), slow roasted prime pork fillet, red wine jus, asparagus and caramelised onion. The pork was moist, the red wine jus had sufficient flavour, but not too much to over power the dish. It was delicious, I was only sad that it wasn't accompanied with potatoes. 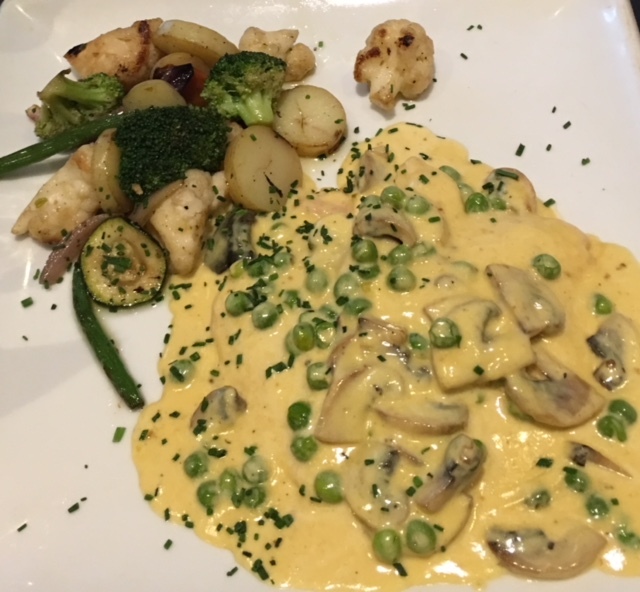 The other half continued the theme of fish with Salmone Cartoccio (£18.95), fresh grilled salmon cooked with king prawns, mussels, black olives and capers in a white wine sauce. The description for this dish just doesn't do it justice. I think for the table this was definitely the showstopper; delicious. A seafood feast for the eyes and the belly. There is something about white wine cream sauces in chicken dishes that I am unable to stomach as it is so rich, so this wouldn't have been my first choice, but arrived as expected. The sauce I was informed as being surprisingly tasty. 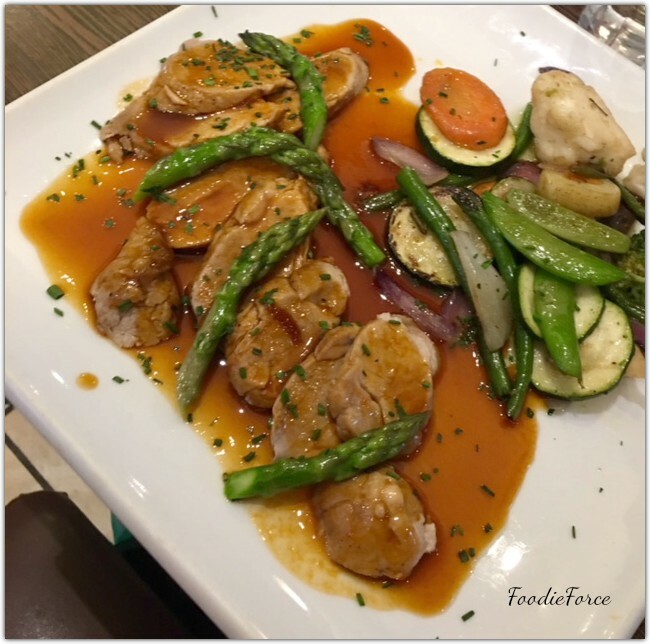 Now I've said it before that you can really judge a restaurant by how well they cook Italian icon dishes. The last meal on our table is a classic, Vongole & Peperoncino (£10.50), clams with cherry tomatoes, garlic, olive oil, parsley, tomato and a hint of chilli. 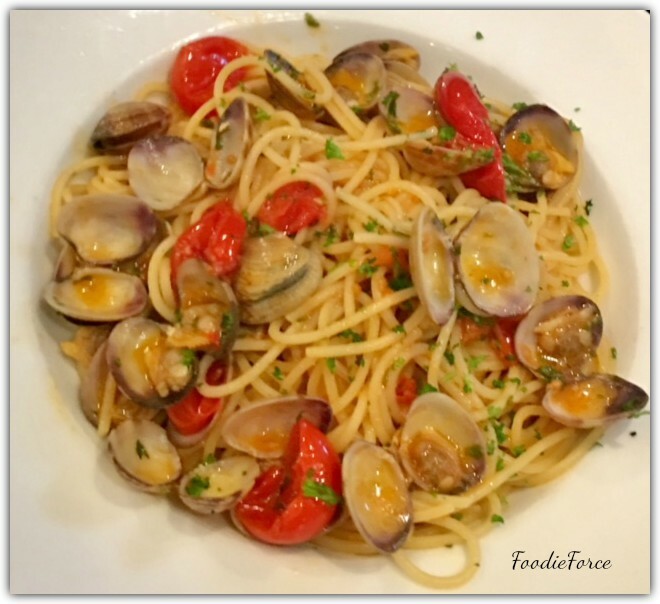 The Vongole was up there with some of the best we have had. The pasta was cooked 'al dente' and the sauce had the perfect amount of chilli kick. Giuseppe's is definitely a hidden gem and I am very much looking forward to returning and working my way through their entire menu. Hopefully, when Noah is behaving a little better. Whilst being pregnant I suffered with horrendous sickness, smells of any kind made me sick. 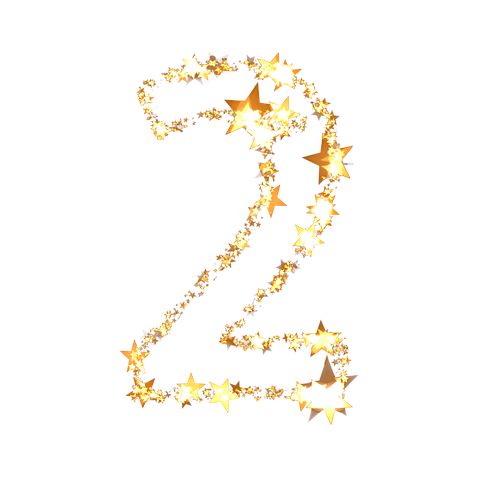 So I waved goodbye to the majority of my beauty products, perfumes and bathing treats with any kind of scent. But slowly, slowly I am bringing them back. Prior to pregnancy I loved Rituals products, so with winter upon us I decided it was time to mix things up and try some products I haven't tried. As you know I like to put things through their paces before I share them, so I’ve been using these little beauties for a few months. The Ritual of Sakura scented candle (£21.50). 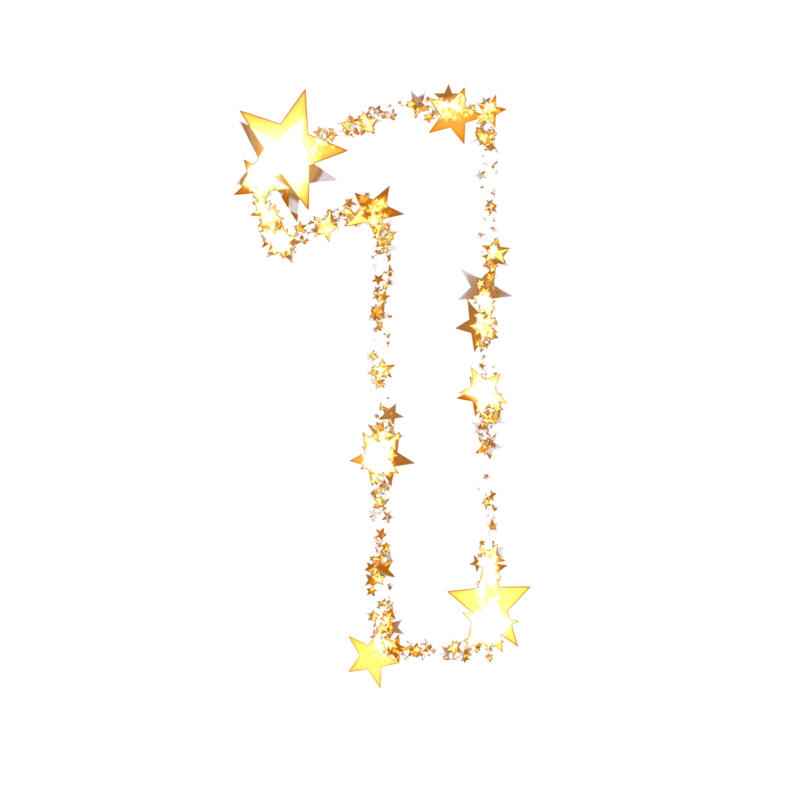 Who doesn’t love a candle? From October onwards I love burning candles and if they have a wonderful scent all the better. Who would have thought rice milk and Cherry blossom could smell so divine in a candle. This beauty sends a wonderful floral aroma all around the house. The best bit is it lasts for over fifty hours. 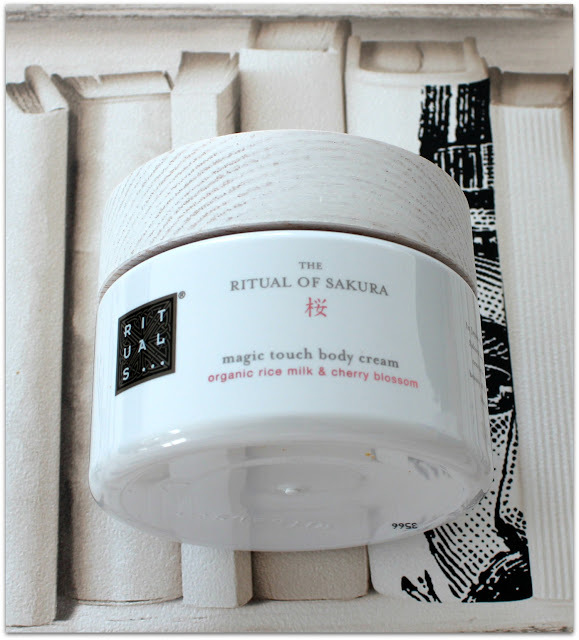 The Ritual of Sakura bath foam (£13.50). The first thing to say is you get a huge bottle. 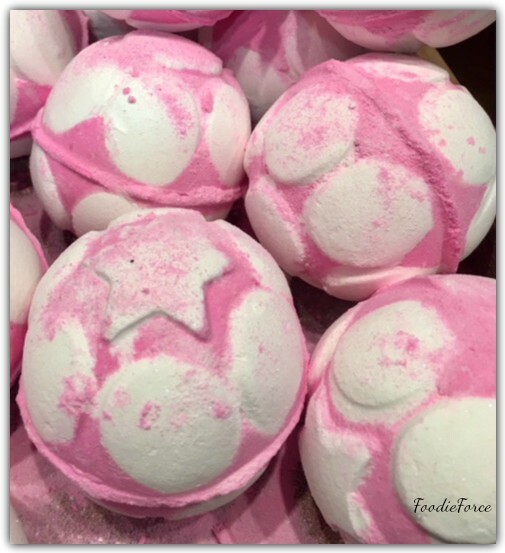 After a tough day this beauty is perfect for making the cosy bath. 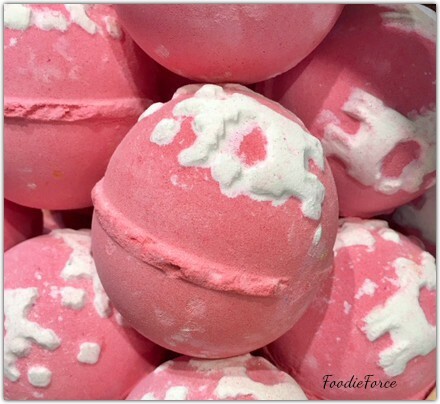 It smells lovely with cherry wafting through the room and creates luscious thick bubbles. My only complaint is with the packaging. The lid which has a wooden overlay within a week had completely come away, leaving behind it a white plastic lid with a horrible glue residue. The packaging just doesn’t work for a humid space like a bathroom. I had the delight of unscrewing it and getting sticky hands until it ran out; luckily I was in the right place to give them a clean. 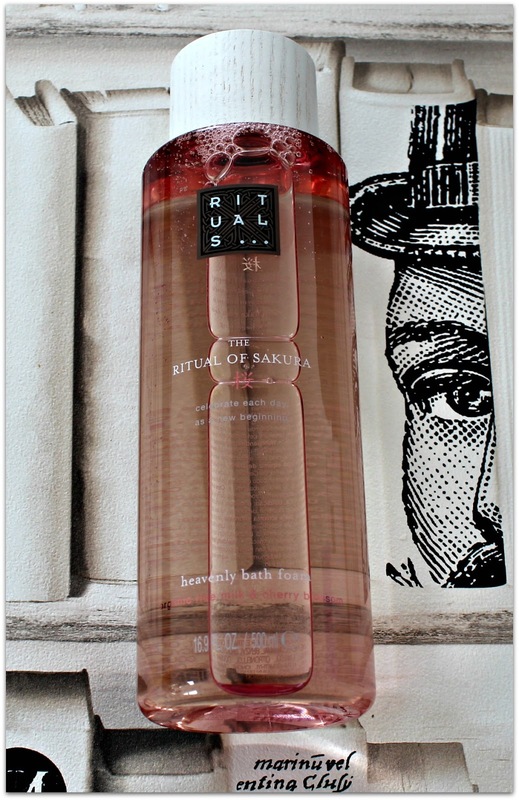 The Ritual of Sakura shower foam (£8.50). Foaming shower gels feel like a bit of a fad and I can never distribute the right amount; but I love how they feel silky on the skin, which is perfect for shaving your legs and the scent seems to last longer than traditional gels too. So if you are looking for something a bit more luxurious than a standard gel, then you will be pleased that you chose to try this. The Ritual of Sakura body cream (£19.50). What can I say other than this is a wonderful find. A thick and luscious cream, a treat to apply and perfect at hydrating my skin leaving it super soft. A small amount goes a long way; it absorbs really easily and there is no greasiness so when I’m in a hurry I can get dressed straight away. Best of all I’m left with wonderfully moisturised skin with a subtle scent of cherries. I hope that this has given you some Christmas gift inspiration. Rituals have loads of gift sets so check out their website. What Rituals recommendations would you make? Growing up I had a vivid and wild imagination; I was always spinning some kind of yarn about a magical fairy world under the floorboards, pixies at the bottom of the garden or my ability to fly off on adventures. I had a magical imagination and I wasn’t afraid to use it. 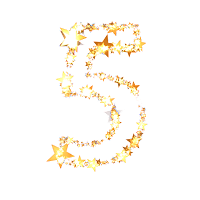 I could often be found with my nose in a book, reading my favourite stories like 'The Magic Finger' (Roald Dahl), 'The Chronicles of Narnia' (C.S Lewis), 'The Secret Garden' (Frances Hodgeson) and many of the The Famous Five (Enid Blyton) books. There are so many elements in life that are trying to expedite childhood, forcing children to drop their childish ways and morph them into mini adults. Well I’m not buying in. Children deserve the right to be children, to do childlike things and most importantly have their imagination fed. 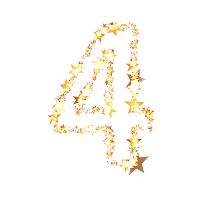 When little Noah was born I wanted to really encourage and nurture his imagination to help it to grow. 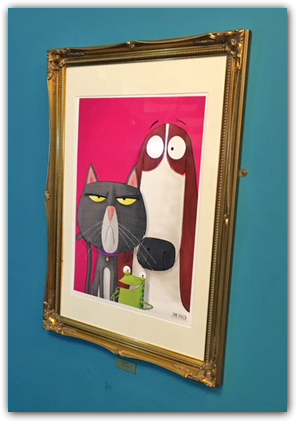 Last year saw the opening of Discover the UK’s first Children’s Story Centre. 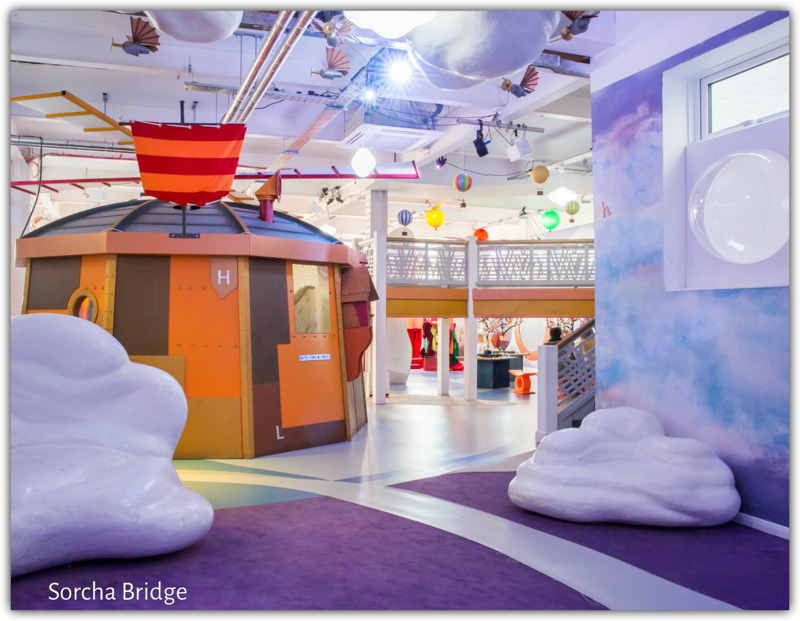 A museum dedicated to the sole purpose of expanding and feeding a child’s imagination and curiosity. Last month the little man and I set off on an adventure to the museum and we are really pleased with what we found. The story centre is divided into story world, storytelling and a story garden. Story World is spread over two floors and offers an exciting creative play space, to inspire a little ones imagination and curiosity. 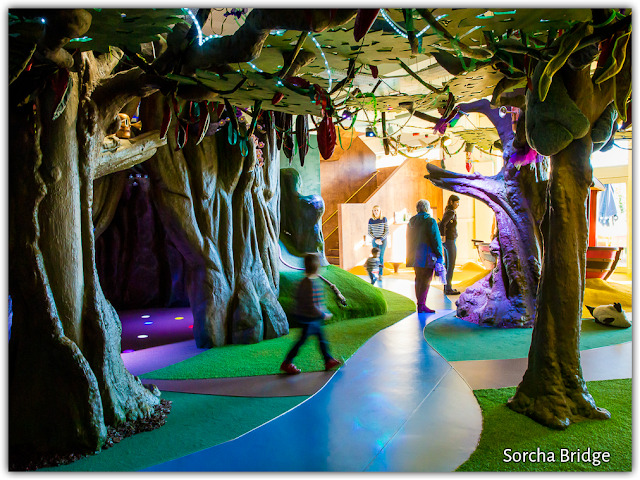 On the ground floor you are greeted by a magical woodland with a giant tree. Little ones can climb inside the tree which houses dancing lights and humming beats, with a hill on the side, to climb or crawl your way to the top. The wood houses a castle; follow the river and you are greeted by a beach with marooned wooden boat. The first floor houses Hootah, the resident space alien. Hootah has landed on planet squiggly Diggly and needs your help to create some new stories, as everyone on the planet has run out of imagination. 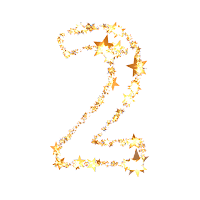 Storytelling- Stuck for some ideas Discover has storytelling workshops that you can sit in to get some inspiration. Story Garden - A safe and creative outdoor space with lots to see and do. Play with the giant musical instruments, climb up the pirate ship, master the sails and set sail.Tackle the monster slide to find the buried treasure, but watch out for the alien spaceship ready to land and carry you away. We had a wonderful day out and we're really looking forward to adventuring there again. Next time we will take the short cut through our wardrobe. 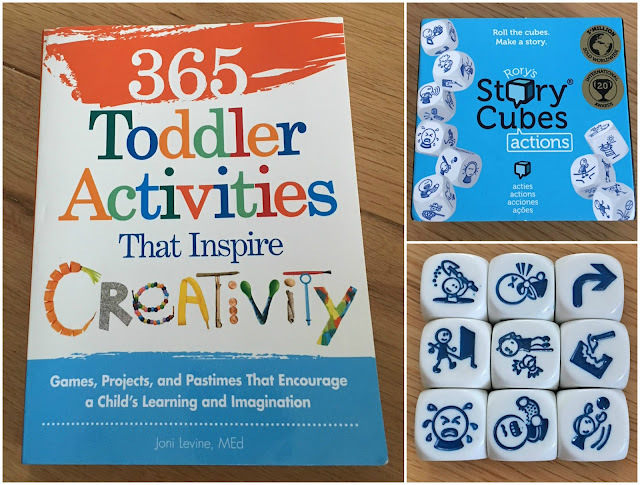 Still not sure where to start, don't worry there are lots and lots of books on developing your toddlers creativity and activities to help you out. 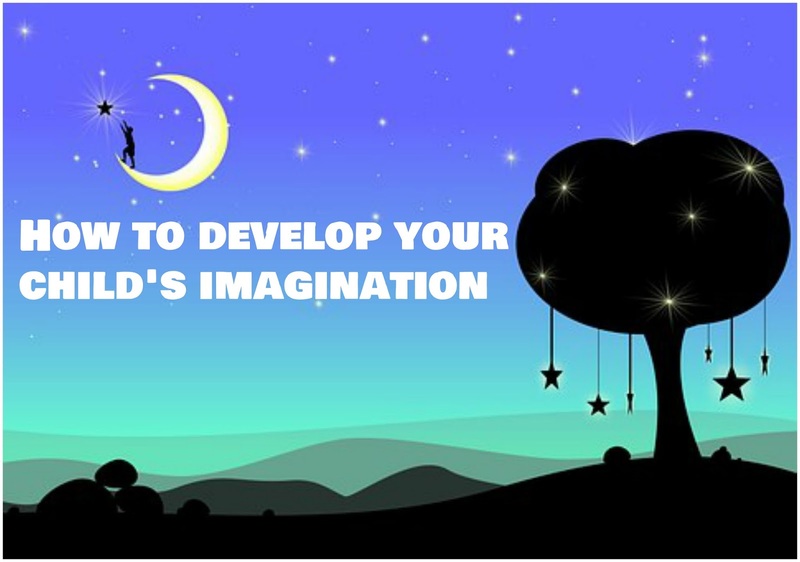 What did you love doing as a child and what imaginative stories did you use to tell? I have been making chocolate brownies for as long as I can remember. I have a fond memory as a child standing on a chair making brownies using my mums favourite cookery book. I was so small I couldn't even reach the worktop or the cookery cupboard for that matter to collect ingredients, so I have no idea what age I was. Small! 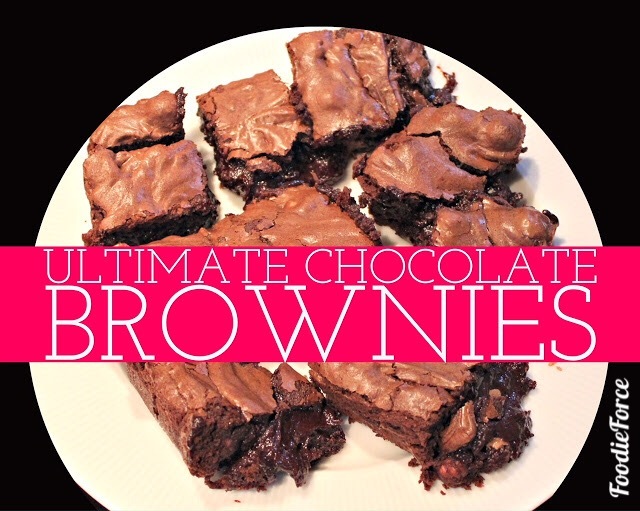 I love brownies as there are so many variations that you can make both in what you put in them, but also additions you can add to them post cooking with toppings. Whether you like a fudge/gooey consistency or a drier more cake like mix I have learnt over time that brownies get better with age, the longer you leave them before eating them the better they get. Don't be tempted to go with the masses and have them hot out of the oven, the only thing that this is likely to give you is ragging heartburn. 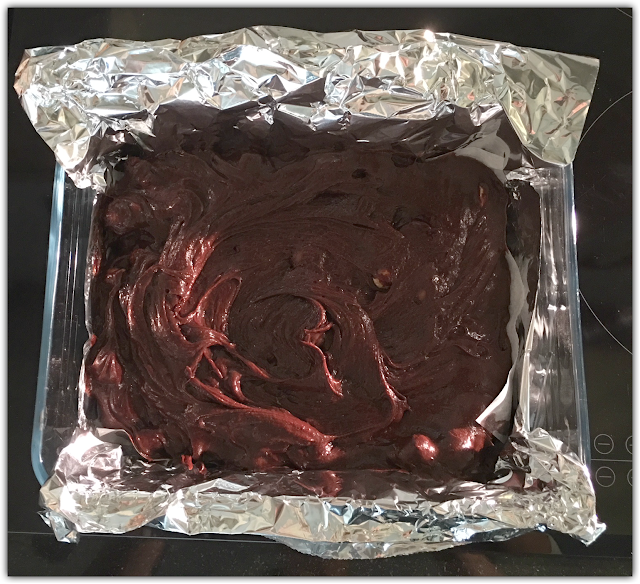 Today I'm sharing my favourite brownie recipe that is gooey with the addition of chopped Hazelnuts and Maltesers. 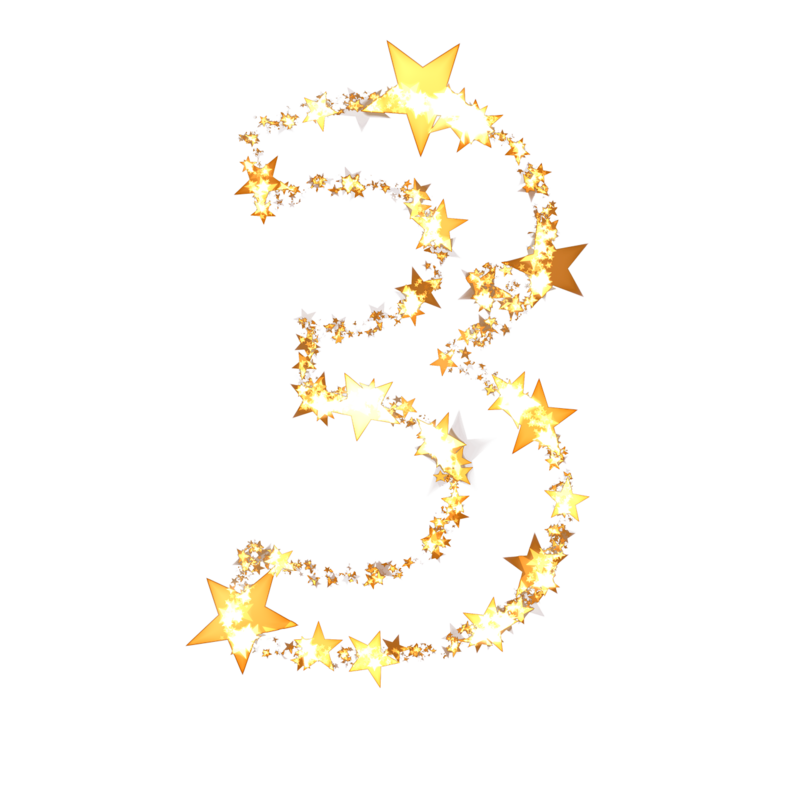 1.Preheat the oven to 180C (350F) conventional oven, 160C (325F) fan oven or Gas Mark 4. 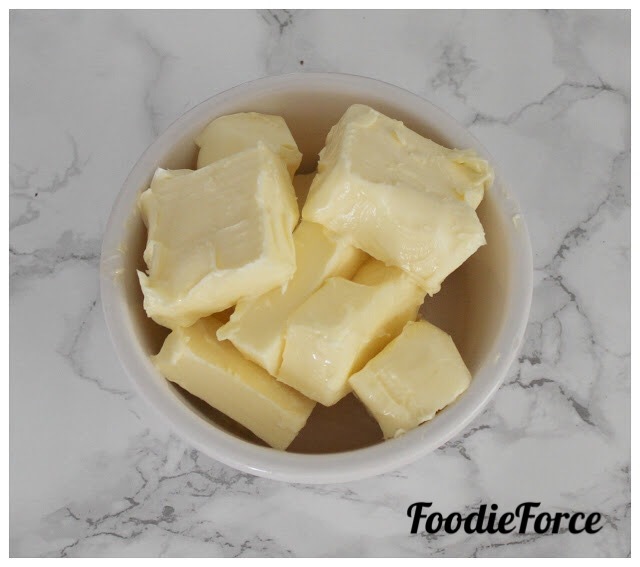 2.Take 200g of unsalted butter, cut into cubes and place in heatproof bowl. 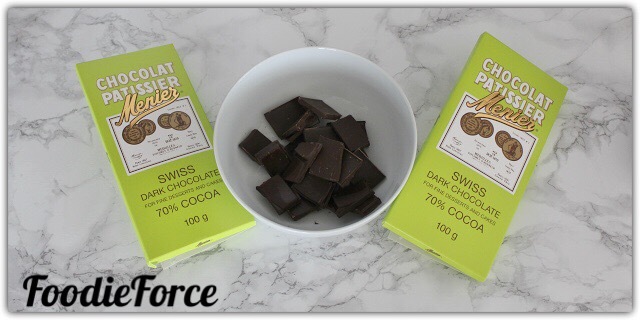 3.Break up 200g of dark chocolate into small pieces, add to heatproof bowl with the butter and melt gently over a pan of simmering water stirring occasionally. Make sure that the water does not come into contact with the chocolate. 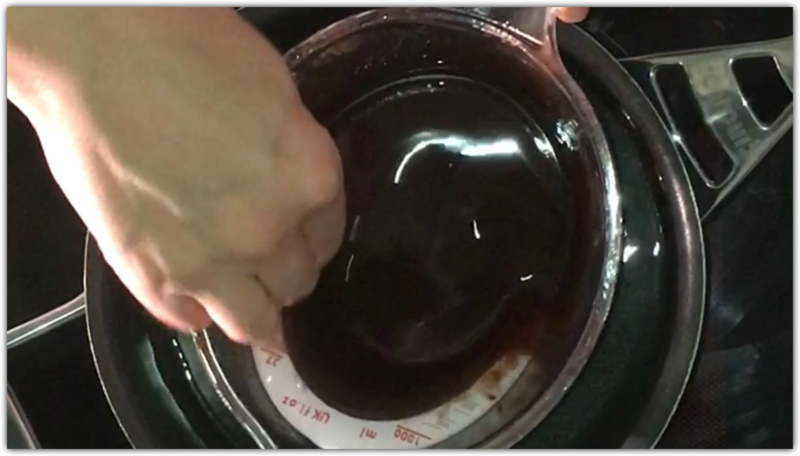 4.Once fully melted set the chocolate mixture aside. 5.In a separate bowl sieve 125g plain flour and 50g of Cocoa. 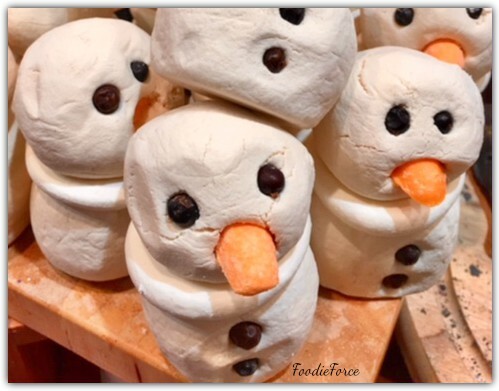 Set the flour and Cocoa aside. 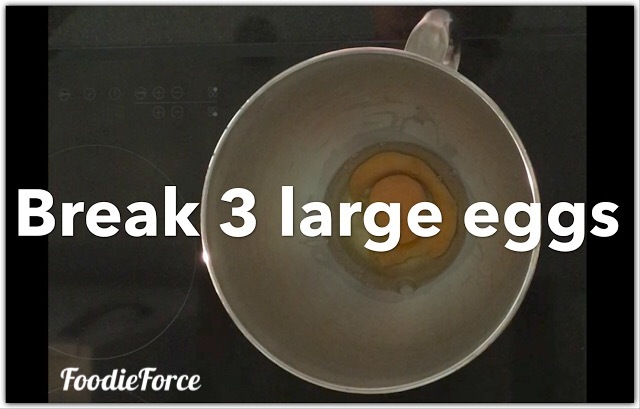 6.In a bowl break three large eggs. 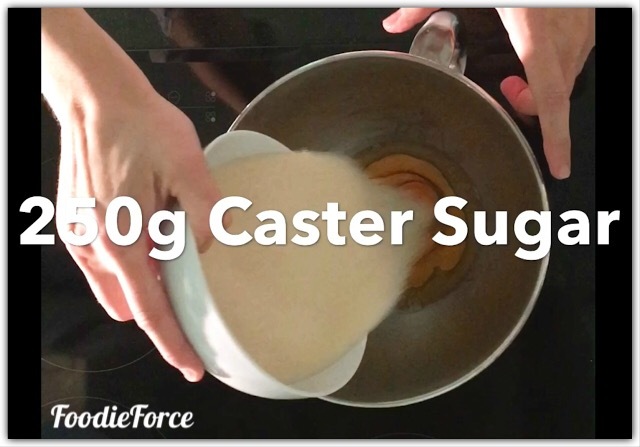 Add 250g of golden caster sugar to the eggs, with a mixer gently beat until light and fluffy. 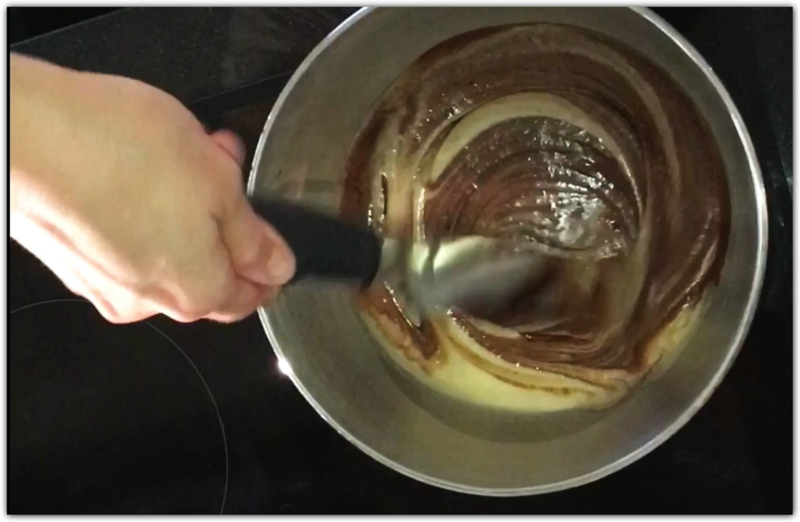 7.Taking the chocolate mixture fold into the eggs and sugar mix. It’s important to fold the chocolate in so as to not beat the air out of the mixture. 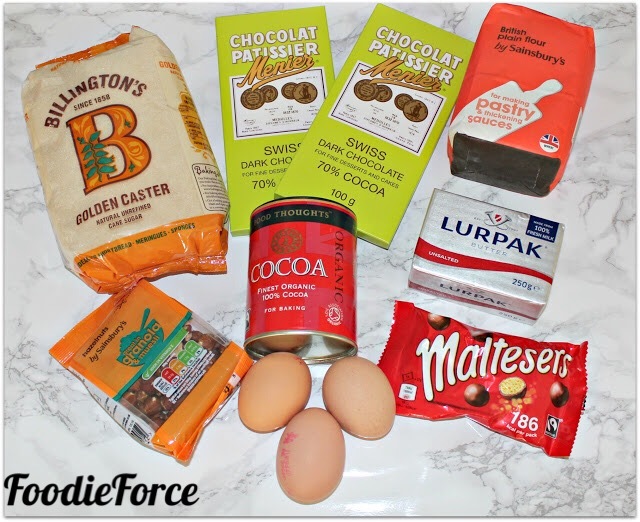 8.There are many additions that you can add to the mixture, my personal favourite is hazelnuts and Maltesers. 9.Spoon the mixture into a pre-lined tin and place in the oven for twenty five minutes. 10.Check the brownies with a skewer when the time is complete. The skewer should have some mixture on removal but not raw cake mixture. 11.Set aside to cool for a few hours, remove from the tin. Cut into small squares and store in an air-tight container. Enjoy with a lovely cup of tea or coffee. What’s your favourite type of brownie? What would you like to see cooked next on FoodieForce?